My sincerest apologies to those of you who count on me to provide you with mindless entertainment for five minutes a day. I could give you excuses, but I respect you too much. I'm just lame is all. I am also nixing the lyric post titles. I may do one randomly here and there because I like them. If you happen to know it feel free to comment! Now on to the heavy part. I feel the need to broach a subject even though it's a massive can of worms that I don't really have any interest in opening. I just need to express my confusion for lack of a better word. I don't need violent arguments one way or the other (because there are so many violently argumentative readers of this blog and all). I also don't need to be told what is right and wrong. If I have learned anything in my year and a half of parenting it's that there are different kinds of right and wrong and lines get blurry sometimes. Alright, out with it right? Here goes.....vaccines. There. I said it. Again, I'm not interested in should I or shouldn't I vaccinate my child. I already know that answer for myself and my family. My confusion and concern comes after the vaccines have or have not been administered. I don't know if past generations dealt with this, but I would guess they didn't. Therefore, I feel like there is some uncharted territory. This isn't like should I breast or bottle feed or should I stay home or do daycare. One person's personal choice could directly effect my child. Lila is fully vaccinated and I honestly do not feel comfortable with her being around a child that has not been vaccinated. However, people don't go around advertising if they did or didn't. I am starting to realize that she could be (and probably will be) around a child that has not been vaccinated at some point, and I would probably have no idea. I guess I was naive to think that almost everyone still vaccinates. I know in the end I have to do what I feel is right when choosing who I am around and who Lila is around. But what do you do when more and more people are making choices you aren't comfortable with? I can't go around asking moms if they vaccinated their child. I mean, I guess I could. It just saddens me that I feel like that even has to happen. I am in complete support of parents doing what they feel is right...but when what they feel is right doesn't only concern their child and their family how do you process that for yourself? You just do the best you can. It’s so tricky to say to a friend, “I love your child. 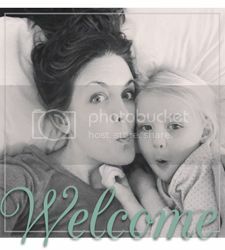 I love you, but I’m not comfortable with our kids playing together until mine is fully immunized at age 5.” Nothing personal, but like you said, we all have to do what we feel is best for our own family, even if it’s keeping our kids apart. Brandon laughs at me for being so germaphobic in public, but the recent outbreaks of measles & whooping cough in the US freak me out! I definitely did not see this parenting obstacle coming! I sympathize with you. That's a difficult conversation to have with a friend. There has been a recent outbreak of pertussis in Cobb County. I don't think many people understand that these diseases are still with us and the very young are the most likely to have life threatening symptoms. You said it yourself, Jana.This isn't like breast feeding or bottle feeding. However, I figure you pretty much know who's vaccinating their children and who's not. The bottom line is Lila, but you already know that. Had you not had her vaccinated, would you be offended if someone didn't want their child(ren) to be around her? Would you be offended if they ASKED you about vaccinations? If so, then that's your problem and not theirs. If not, then you're giving them the respect they deserve. It's a choice whether to vaccinate or not. I get that. But you don't risk your child's life or health because you're afraid you might offend someone. Their personal choice is not to vaccinate. Your personal choice is to vaccinate for the PURPOSE of avoiding disease. If they can't understand that you don't want to then turn around and subject your child to their potential disease, then you should probably steer clear of them anyway! This is Sonja...I have a google account but long ago forgot it. Anywho, like you this is a concern for me. My children are also fully vaccinated (I am a big believer in Mass Immunization) but we have come in contact with playmates that are not or at the very least are delaying them. Like a previous comment I think you need to do what is right for you and your littles and if that means just asking a blunt question like "Do y'all vaccinate?" or more subtle like "How did your Little react to the MMR? ", then you just do it. Vaccinating IS a hot topic and therefore it isn't outside of the realm of typical mother talk to bring them up. Once you have the info you can process as you wish and go from there. For myself, I always seem to find out without causing drama. I do know of one family that is delaying ANY and ALL shots until an older age (which honestly doesn't make sense...if you are going to comply with the law so your kid can attend school why wait so you have to REALLY bunch them up?) and I have limited our contact with them to outside venues only. And I just make sure that hands are washed and cups aren't shared. Hope you and Katie can figure something out!